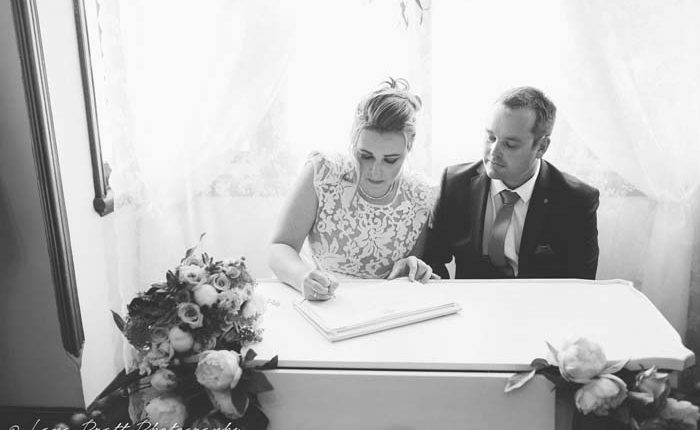 The Perth Marriage Office is staffed by Commonwealth Marriage Celebrants and marriages are conducted in one of our stunning rooms, where the legal paperwork is signed and the marriage is solemnised according to law. 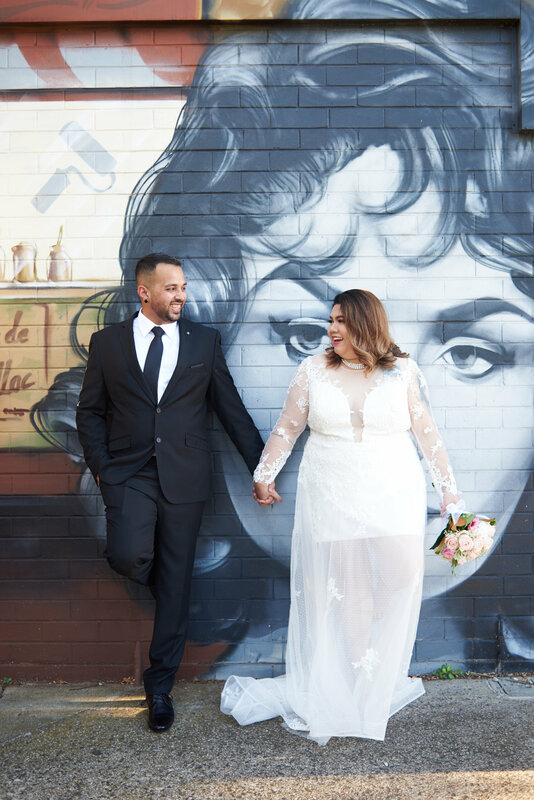 This marriage service is typically for couples who would like to be married in Australia, or just need the minimum legal requirements to be married. 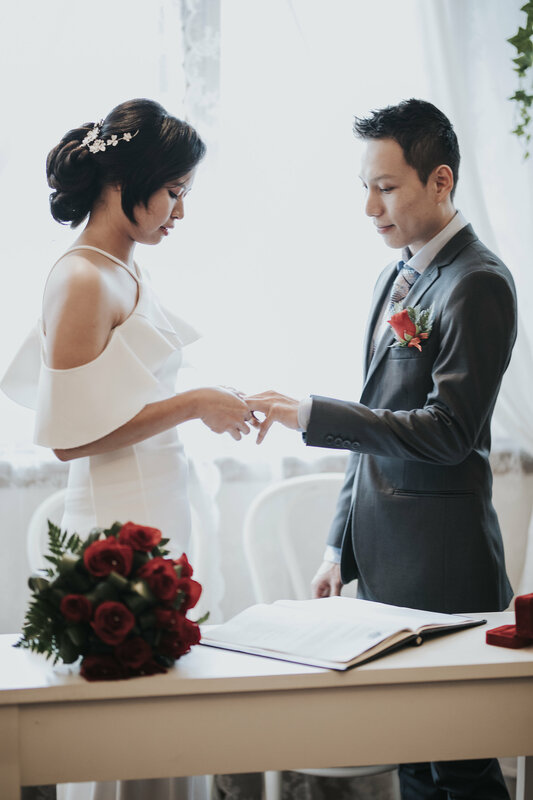 The Perth Marriage Office also services couples who are requesting a Fiancé Visa Letter for the Department of Immigration for their Prospective Marriage Visa, or couples who require their marriage to be registered in Australia following a ceremony overseas, in Bali or Thailand for example. The Registry Room accommodates the couple and two witnesses for a simple signing of the marriage register. This is the minimum requirement for couples to register their marriage in Australia. 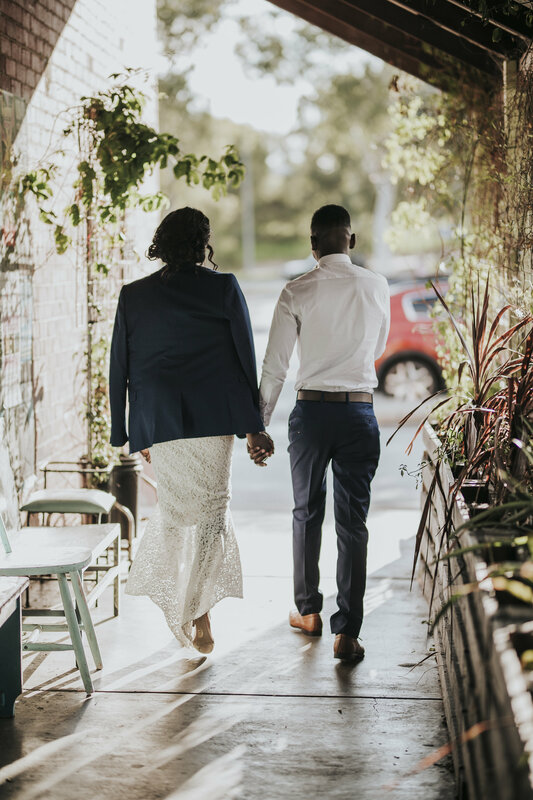 A simple service for couples who do not require a formal, traditional wedding ceremony and do not plan to have guests present for their marriage, other than the 2 witnesses required on the day of your signing. There is no ‘ceremony’ associated to this process and proceedings are typically conducted in the Registry Room, where the legal paperwork & marriage register are signed. The Commonwealth Marriage Celebrant will solemnise the marriage according to law. 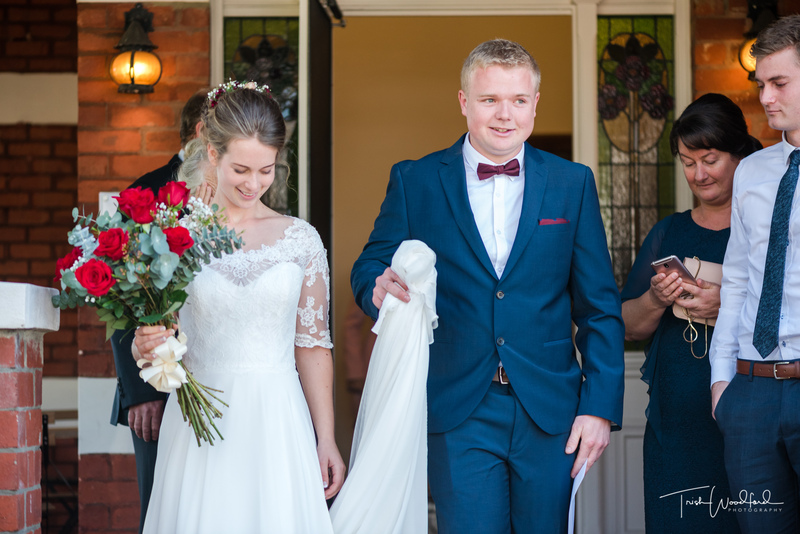 This marriage service is typically for couples who do not require a formal ‘ceremony’, but still require their marriage to be registered in Australia. This room accommodates the couple and up to 10 guests for short wedding services. This is a service for the couple and between 2 – 10 guests. The marriage is conducted in a beautifully decorated room, where couples exchange vows before the Commonwealth Marriage Celebrant and up to 10 guests. Photos and video are permitted and the couple may opt to exchange rings if they so choose, although there is no legal requirement to do so. This service accommodates the couple and up to 25 guests for simple wedding ceremonies. This service is for the couple and between 2 – 25 guests. 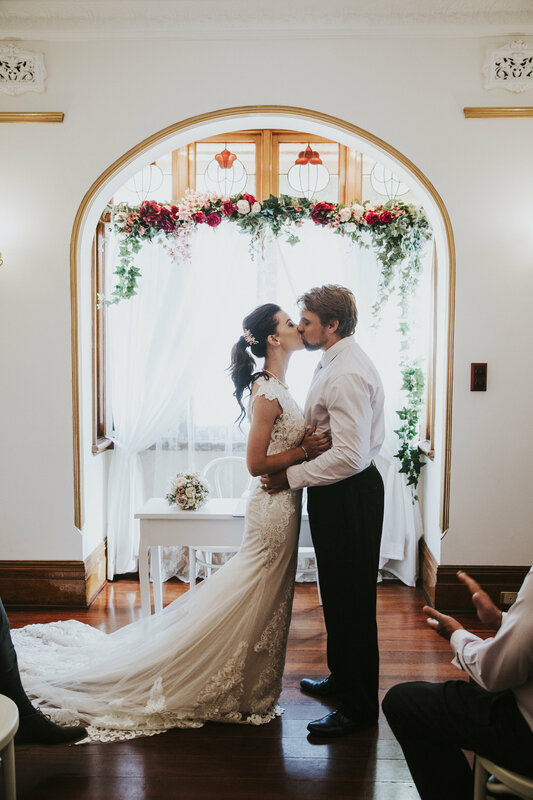 The marriage is conducted in one of our premier rooms, where couples exchange vows before the Commonwealth Marriage Celebrant and up to 25 guests. 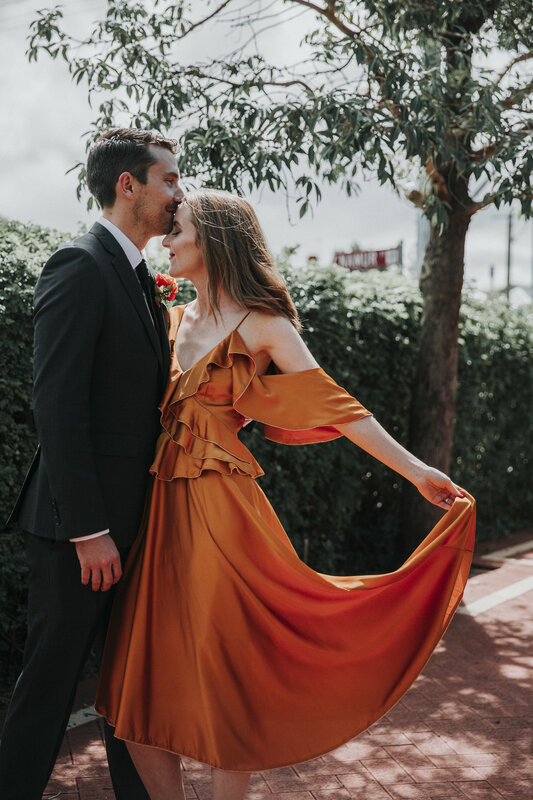 Photos and video are permitted and the couple may opt to exchange rings and their own personal vows if they so choose to do so, although there is no legal requirement to exchange ring or personal vows. This service accommodates the couple and up to 50 guests for simple wedding ceremonies. This service is for the couple and between 2 – 50 guests. 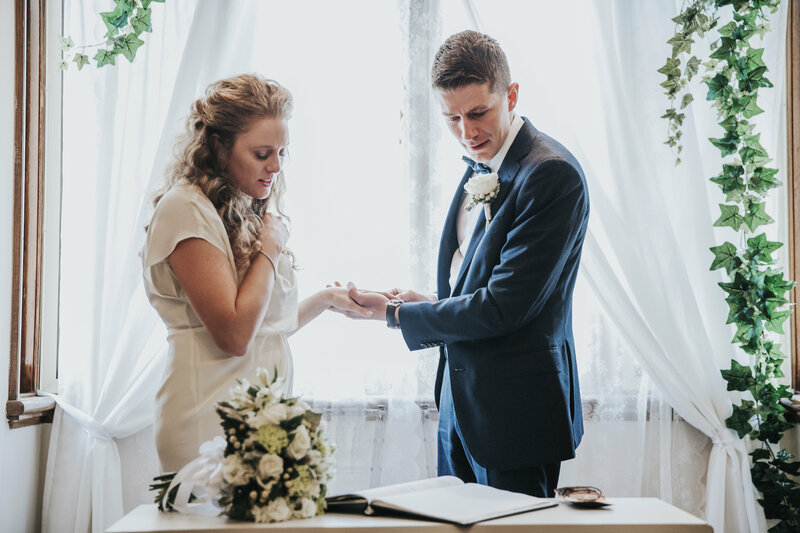 The marriage is conducted in one of our premier rooms, where couples exchange vows before the Commonwealth Marriage Celebrant and up to 50 guests. A service for the couple and unlimited guests. This is a simple civil marriage service, where couples exchange vows before the Commonwealth Marriage Celebrant and their guests. 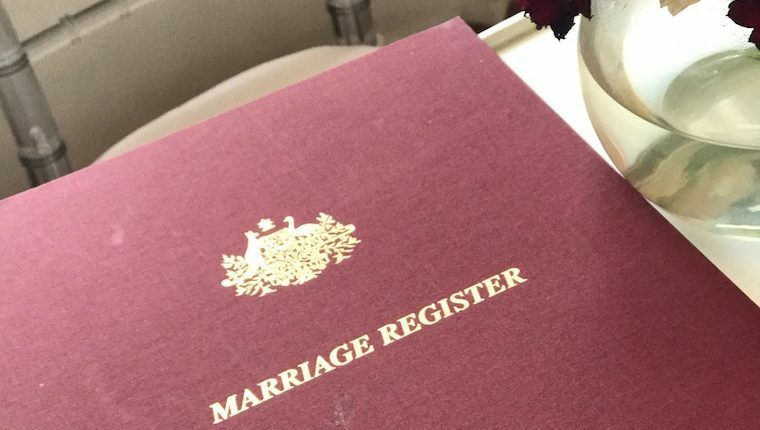 The Perth Marriage Office is able to arrange for a registered Commonwealth Marriage Celebrant to attend on-site at a local Park, Garden or Private Residence within 20kms of the office. *This external wedding service is subject to Commonwealth Marriage Celebrant availability.